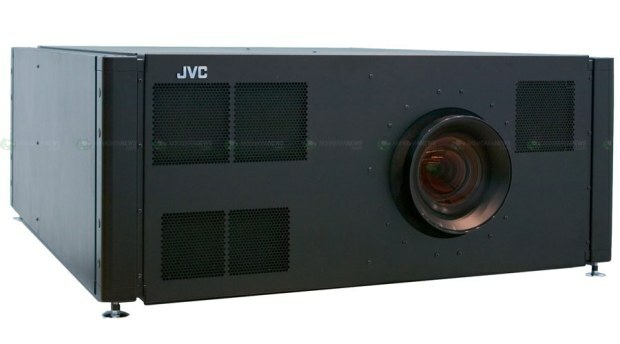 Because of the growing number of consumer-level cameras with 100-megapixel sensors and camcorders shooting at 4240p, JVC has come out with a new 8K (that’s 8000 horizontal pixels) projector with 10,000 lumens of brightness and a 5500:1 contrast ratio. Finally, an ultra-high-def projector the whole family can enjoy! Actually, it’s pretty ridiculous. 8K content is pretty much…impossible to find right now. Unless you were to make a motion-JPEG movie out of full-size shots from a Hasselblad, I don’t think 8K is even approaching necessary. Fortunately, it also supports 4K (and why shouldn’t it? ), a more reachable standard and one at which hi-def cinema cameras are actually shooting. They’re also releasing a 4K camera, but my industry insider says it’s more of a broadcast cam, especially considering how boxy and straightforward it is; no rails, no customization, etc. Plus it costs “under $200,000.” You may remember that Red has had a camera shooting that resolution for quite some time, although it’s not meant for a broadcast environment. And the rumors of a Red projector have died down, so this JVC one may be a new standard for getting that high-def footage up on the big screen.